My head is swimming from the mesmerizing siren calls this week! 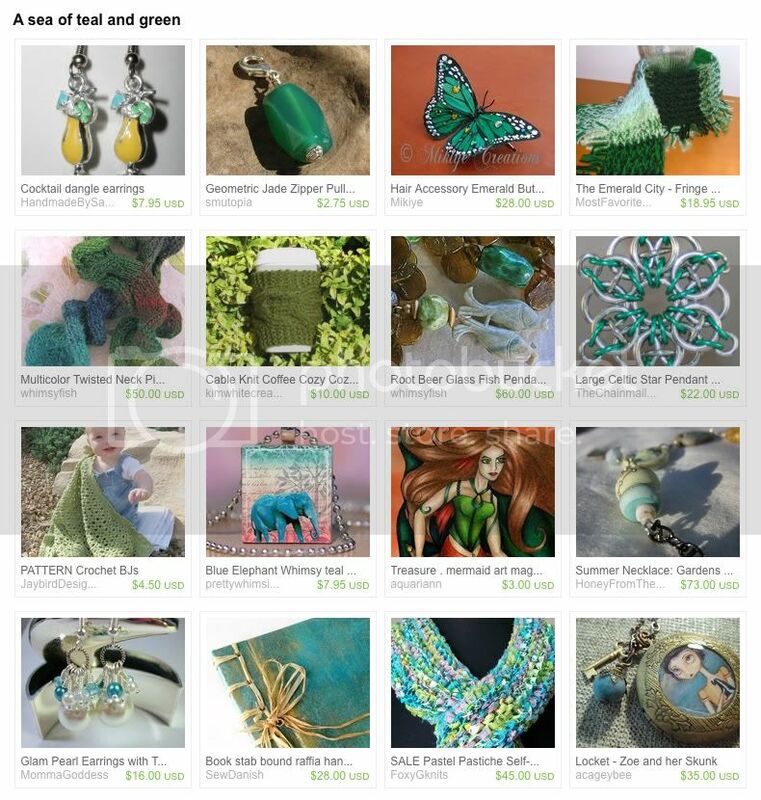 Crochetgal wove together a sea of green Etsy Twitter Team items. Amongst the treasures is a root beer glass fish necklace, chainmaille Celtic star pendant and my mermaid art magnet. Why'd The Blue Hen Cross The Road? Great treasuries! I linked one that includes a cemetery photo of mine - Arts, Crafts, and the Macabre! I love the idea of the 'Magical Linky'.